Feature Story: Should nuclear energy power Australia’s future? Uncertainty over “nuclear energy” has stifled its introduction as alternative form of energy in Australia, due to it’s hazardous past. This includes the 1979 Three Mile Island nuclear meltdown that occurred in Pennsylvania, the 1986 Chernobyl disaster, and the 2011 Fukushima nuclear disaster. 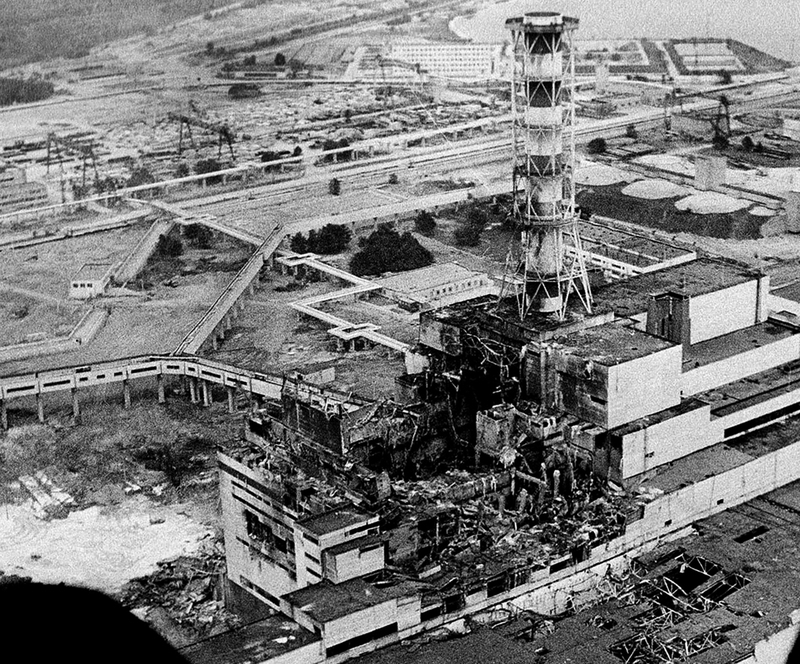 Chernobyl remains the worst nuclear power plant accident in history in terms of costs and casualties, killing 31 people immediately and with long-term health effects still being investigated. The fear that similar catastrophes may occur in Australia – combined with the readily available abundance of coal in our ground – has prevented the nation from pursuing nuclear energy as an option. However, with an increasing need to mitigate climate change by reducing greenhouse gas emissions, some experts believe Australia may very well have a nuclear future. Ian Hore-Lacy is a senior research analyst at the World Nuclear Association who has been involved with studying uranium and nuclear power since 1995. He perceives nuclear energy as “a reliable, economic clean source of energy for electricity” that is an inevitable solution to rising carbon dioxide emissions. “If there’s a view among the Australian public that we need to take greenhouse gas emissions seriously then we have nowhere else to go,” Mr Hore-Lacy said. “We can’t possibly generate continuous reliable supply of electricity on any scale from renewables. It can’t be done. It’s not been done anywhere else in the world.” Many environmentalists strongly oppose Mr Hore-Lacy’s view and believe a complete shift from fossil fuels to clean, renewable energy sources is a viable option. Director of the Central West NSW Renewable Energy Cooperative (CENREC) Rachel Young thinks “it’s really possible that we could be 100% renewable powered and not have to rely on expensive and risky nuclear power”. The degree of ‘risks’ associated with nuclear power is central to the debate in Australia, alongside construction times, storage of radioactive material and investment and financing risks. With analysts, preservationists and politicians sturdily divided on this issue, it’s imperative to separate fact from opinion and examine what is known for certain in regards to using nuclear power as an energy source. Mr Hore-Lacy is correct in his assertion that the use of nuclear energy emits barely any greenhouse gas emissions after plant construction is complete, which Research from the Swedish Energy Utility, Vattenfall, found that nuclear radiation emits less than one hundredth the CO2 of Fossil-Fuel based generation. In fact, it emits less CO2 than Hydro, Wind, Solar and Biomass (although all of these types of energy emit much less than fossil fuels). The House of Representatives Standing Committee on Industry and Resources also found there are additional environmental benefits from replacing fossil fuels with nuclear power, such as relief of general air and surface pollution. However, there are issues with the production, management, transport and storage of nuclear material, as radioactive waste has to be stowed for up to thousands of years. According to the Parliament of Australia website, one concern is that it could potentially leak into groundwater or ecosystems and consequently effect humans. It is also difficult to predict the costs of building and operating nuclear power plants, as fuel and technical prices are unpredictable, subject to the discount rate and time. Another issue of high water demand for nuclear power plants, which is far greater than fossil-fuelled power stations. While the chance of a major power plant accident releasing dangerous radiation is certainly real, it is an unlikely possibility. Most of today’s nuclear power plants are equipped with much more effective safety regimes. According to the World Nuclear Association’s website, the International Atomic Energy Agency (IAEA) was set up as an auditor of world nuclear safety and its role has been strengthened since 1996. “Every country which operates nuclear power plants has a nuclear safety inspectorate and all of these work closely with the IAEA,” the website reads. 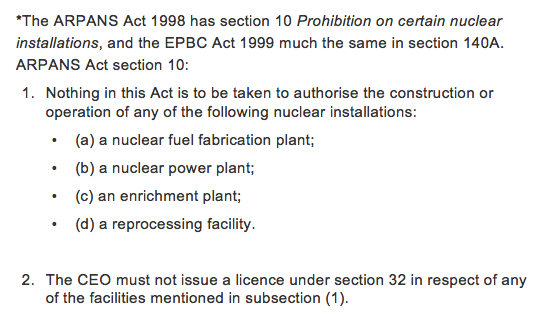 “The use of nuclear energy for electricity generation can be considered extremely safe”. This is not to deny the fact that minor incidents still continue, but the nuclear power industry has around 12,000 reactor years of operation bridging five decades. Furthermore, research suggests there are far more risks of accidents associated with coal mining than at nuclear power plants. An international review of existing studies into the health impacts of electricity generation by the International Energy Agency found that nuclear power was the least dangerous energy source and coal was the deadliest. Mr Hore-Lacy believes coal-mining accidents are underrepresented in the media because they have lower priority in the news agenda than nuclear disasters. “Nuclear accidents are always high profile in the media,” he said. “Major accidents in relation to coal generation where like 30 or 40 people have been killed in Ukraine barely get any mention in the press at all,” he said. But Ms Young believes renewables are still a much better alternative to fossil fuels than nuclear power. “Why would we invest billions of dollars into a new nuclear power station when we have cheaper and more effective forms of power generation readily available… such as wind and solar?” she asked. Whether Australia will be investing in a power plant any time soon is doubtful, but there have been proposals in the past. In December 2006, a report of then-Prime Minister John Howard’s expert taskforce lead by former Telco boss and nuclear physicist Ziggy Switkowski was released. It considered nuclear power, and concluded that: “The challenge to contain and reduce greenhouse gas emissions would be considerably eased by investment in nuclear plants… [and] is the least-cost low-emission technology that can provide base-load power” But also, that “Australia’s greenhouse challenge requires a full spectrum of initiatives and its goals cannot be met by nuclear power alone”. Following the report, the Prime Minister planned to set up a regime that would remove any obstacles on prohibiting the construction of a nuclear power plant. 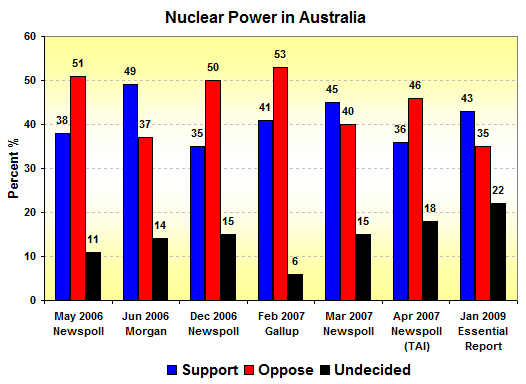 A change of government in 2007 halted this move towards nuclear energy, however in February this year the Labor state government of South Australia set up a royal commission into the potential for nuclear power in that state. There are several acts in place forbidding this commission to be successful, however it is unclear how long these legal hurdles will remain in place. Tony Abbott recently expressed he has “no theological objection” to nuclear energy and would be “fine” with someone putting forward a proposal. Whether nuclear energy is in the Australian Public’s interest is subject to opinion, but with the possibility of carbon restrictions being enforced in the future, it may be time to decide once and for all which opinion should lead our future. After all, the climate does not stand still while we spend our time debating.